First time students with no knowledge of Japanese are welcome. Those with some exposure can be placed in an appropriate class for their skill and comfort level. Advanced classes are available for both youth and adults. Youth students gain knowledge of the Japanese alphabet and some basic grammar and vocabulary in the introductory courses. With a little bit of effort, students can advance to beginning, and then on to intermediate and advanced. When there is sufficient demand a Bilingual class may be available for fluent Japanese speakers wanting to maintain or refine their proficiency. Likewise and advanced Kindergarten class may be offered, if there are enough students. See the Youth Classes for more information about the classes. Adult Beginner Conversation Level 1 introduces basic phrases, vocabulary and sentence patterns without homework or requiring memorization of Japanese writing. If a student would like to learn the Japanese syllabaries (hirigana and katakana) or phonetic writing systems they can, just ask your teacher before purchasing the class textbook as English (romaji) and Kana (Japanese) versions may be available.. See the Adult Classes for more information about the Adult classes and course listings. 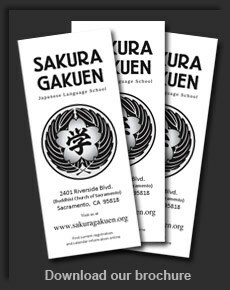 Stay on top of the latest happenings at Sakura Gakuen School! Sign up to receive reminders, the latest news and events updates. North American Food Distributing Co.
Click here to send a message to the school. 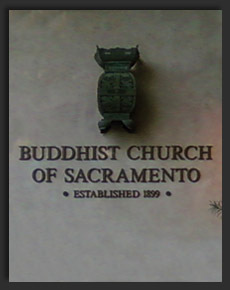 Click here to view a map or get directions.